When you start thinking about making a move you will have lots of questions. Now is the time to talk to our Senior Living Experts. We are here to listen to your concerns and guide you through your move with expert advice and wise counsel. We want you to make a decision that is best for you and your family. Everything we do is focused on being a meaningful presence for every member of our community. At Rotary Villas retirement community, we create a culture anchored in a respect and love of people. Let Rotary Villas change your perception of a retirement home. Jody Kehler is returning, with her family, to her hometown of Brandon. She is a Licensed Practical Nurse who has spent her career promoting quality resident centered care for the older adult. She has held a variety of leadership roles in the Personal Care Home program in Winnipeg. Most recently she was the Director of Care of a 78 bed personal care home. She has also held roles in Staff Development, Infection Control and Quality Improvement & Risk Management. 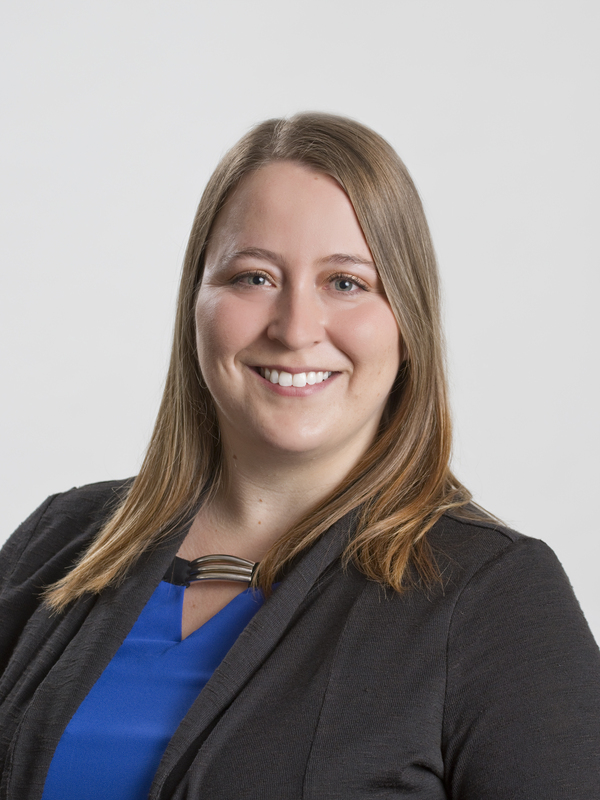 Jody enjoys creating systems to improve quality and sustainability in living environments and the workplace. Jody is the Executive Director for Rotary Villas at Crocus Gardens. 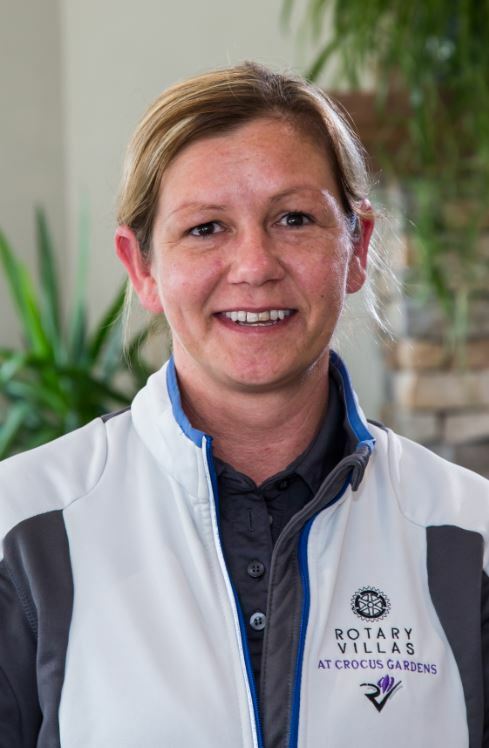 She is grateful to work with an amazing team of professionals and for the friendly atmosphere that welcomes new members to the Rotary Villas community. In her time off she enjoys spending quality time with her family. She is a novice gardener and an enthusiastic Jets fan. Ruth Peech began her career at Rotary Villas a couple weeks prior to its opening. Starting as an Administrative Assistant, Ruth has moved up to the position of Administrative Coordinator. Her duties encompass all aspects of human resources and administration. She assists with employee recruitment and provides orientation for new employees as well as managing the Front Desk receptionists. One of Ruth’s biggest perks of working at Rotary Villas is having her mother living in one of the pet-friendly suites with her dog. She enjoys seeing her mom every day and knowing how well she is taken care of. 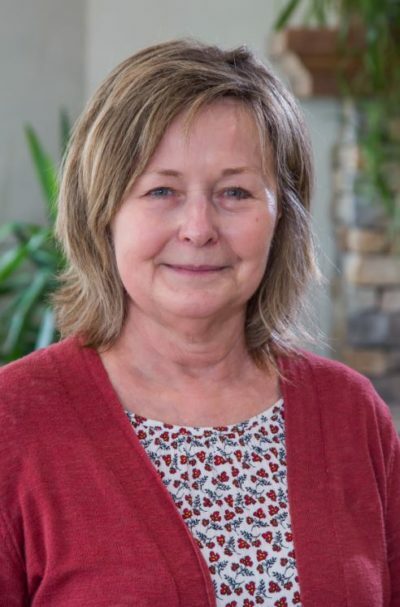 Ruth has 33 years of experience working for Prairie Mountain Health initially as a Diet Technician, and then as Manager of Nutrition Services with responsibilities of managing the Cafeteria, Catering Services, Human Resources and Vending Program. Time away from work is spent with her three dogs: Cricket, Finnigan and Peanut. Paul, a child of the 60’s, was born in Dublin, Ireland. He played rugby and hurling in high school and was a member of Terenure Swimming Club. 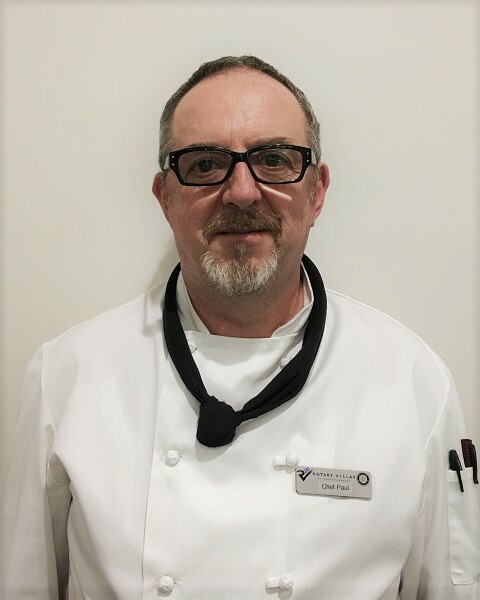 Paul took a chef apprenticeship program in 1986 and then joined the military in late 1987 where he served for 17 years. During this period, he was involved with catering for Braveheart, PGA Tour, Irish National Hunt, and the Eurovision Song Contest. In 1990, he served with UNIFIL in Lebanon and later received the Nobel Peace Medal for UNIFILS contribution to peace. Paul has three grown sons that reside in Ireland: Tomas, Patrick, and Conor. Paul and his Partner, Suzanne, moved to Brandon from Alberta in May 2017 with their 9-year old dog Toby. Housekeeping Coordinator, Mirzeta Kazic, is recognized among fellow staff, residents, and guests for saying “how can we help”. Mirzeta began her career at Rotary Villas in May 2017 as a Housekeeper and has moved up to take on more responsibility and leadership. At a young age, she moved from Bosnia to the Canadian prairies with her family. She is dedicated and attributes her ethics from her lifetime of experience working locally with her family in construction. Mirzeta chose to apply at Rotary Villas because she enjoys the challenge of keeping up with the cleanliness, safety and sanitation for all who live, visit, and work in the facility. As a leader, she has transformed all the housekeeping work spaces to be more organized and functional for her team. As a mother of two, she is well practiced at multi-tasking and solving problems quickly. In her time off, Mirzeta enjoys spending quality time with her children, family, and friends; BBQs; gardening on the farm; hiking with her kids; and playing billiards with friends. Being born and raised in southwest Manitoba, Darren understands the importance of community. 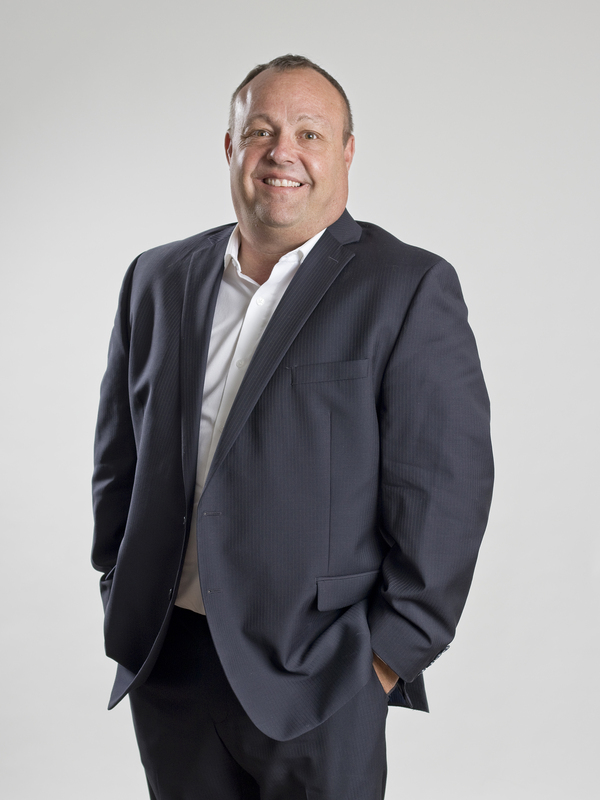 With over 28 years experience in the auto industry and most recently as a realtor, he has made many personal connections. Communication is key to Darren. He takes pride in ensuring you feel comfortable upon your first interaction. As a licensed realtor, Darren is able to assist with the sale of your home, whether it be in a rural community or here in Brandon. Darren is eager to meet with you for a tour and information session. He looks forward to making your transition to Rotary Villas a positive experience.